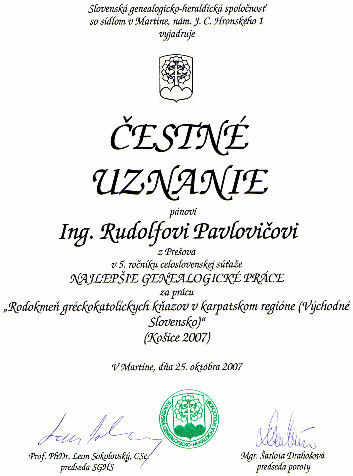 My name is Rudo Pavlovic and welcome at my webpage which is dedicated to genealogy. Let me introduce myself at first. I come from Presov. I am 63 years old. I am married and I have two children. Initially I graduated as a mechanical engineer. But present days made me to work in a completely different work area. As a matter of curiosity I was growing up in a famous family which dedicated its life to professional football career in Presov. In the 50´s and 60´s of the 20th century my father Rudo and my uncle Laco belonged to the best football brother-pairs during the former Czechoslovakia . They had been wearing the same Tatran Prešov jerseys for the rest of their football careers. Why have I created this webpage? Ever since my youth I have been very much attracted by history as the word itself means something vague, secretive and unknown. When deciding about my future profession I was thinking of picking historical circles as a prospective work area. In the end the situation changed. Yet the idea of drawing up the genealogical tree of our family remained. Firstly I merely focused on our own genealogical tree. 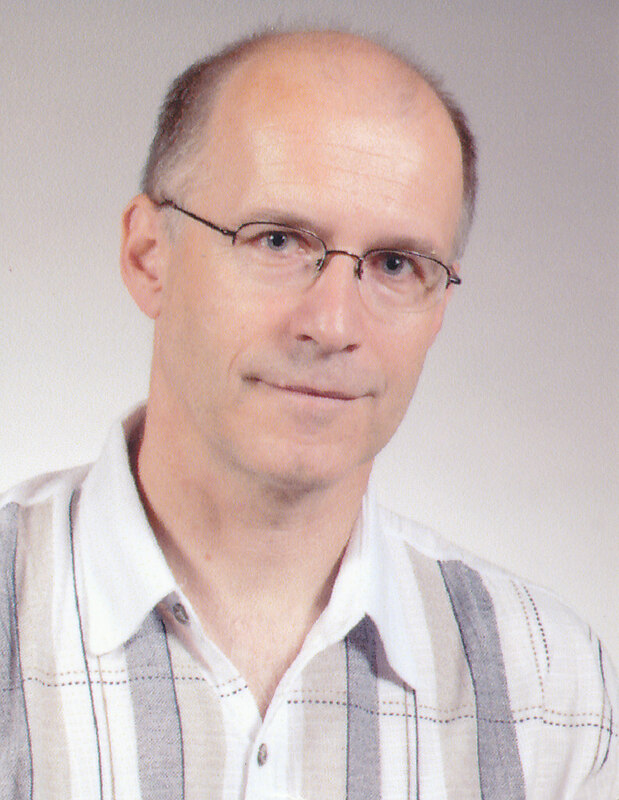 My research resulted into the paper called "The Greek-catholic cleric lineage of the Pavlovics from Sarisske Cierne 1693-1900" . 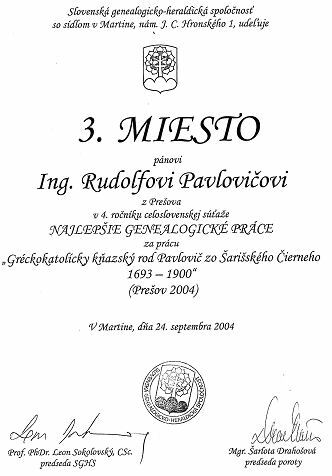 In 2004 I participated with my above mentioned paper in the competition "The best genealogical paper" organized by the Slovak genealogical-heraldical society. I was rewarded a prize of the third best paper. Later I started co-operating with Juraj Cisarik on the book "The lineage of Greek-catholic priests in the Carpathian region". The data in the book have been constantly updated. After certain time I have begun drawing up a lineage for customers. Precise information may be found in the section of Products and Services.